Last weekend I went to Singapore with my friends, Yovita and Poppa. We went to the same university in the UK and live very close to each other. This was our first holiday together after returning home to Indonesia, so despite the short visit, we were so excited! 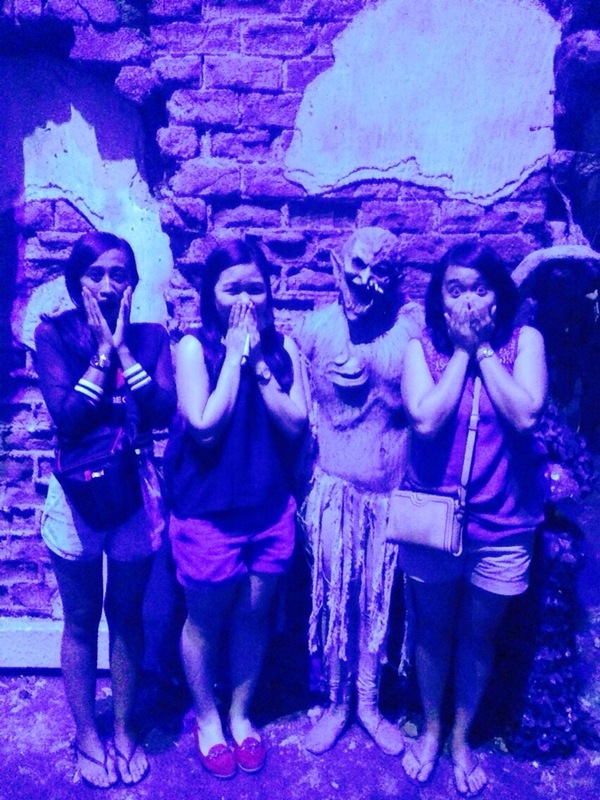 Our main intention to visit Singapore was to go to Universal Studios’ Halloween Horror Nights. During the event, the theme park opened until 2AM and there were special sections, i.e mazes, scare zones, etc.. all with the intention to make us scared! hahaha. None of us are actually that brave, but we just wanted to have fun! Unfortunately I was too caught up with excitement and forget to use my camera that often so I don’t have a lot of pictures with me… here’s one group picture with our new “friend”, the creepy creature, hehehe. Now although the trip to Universal was fun and entertaining, surprisingly, that’s not the highlight of the trip for me. What makes the trip so memorable was the fact that I got to find bits of England in Singapore! Yayyyy! It started with our lunch right after we arrived in Singapore on Saturday afternoon. 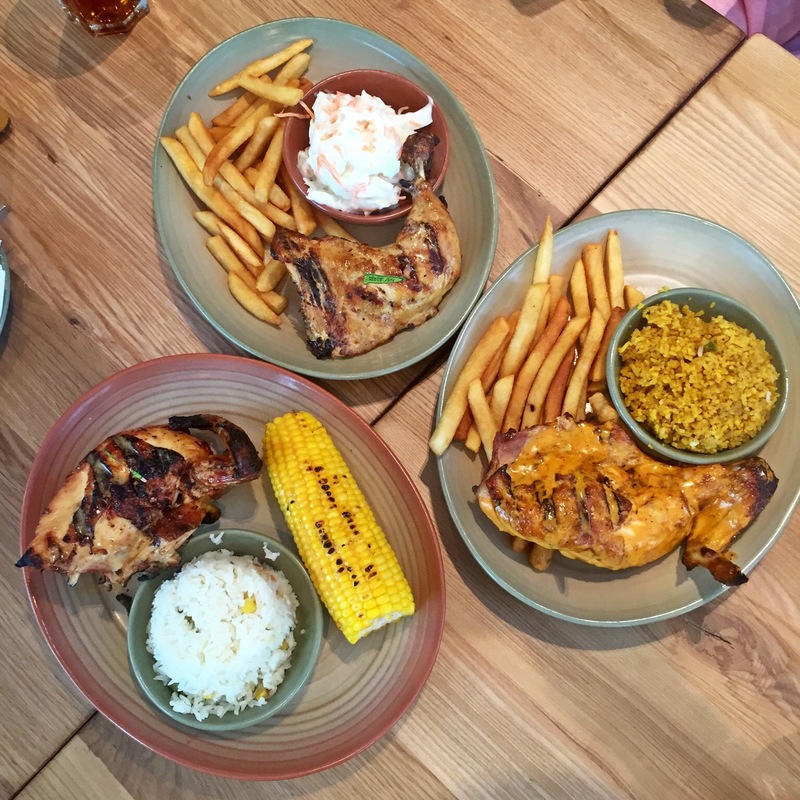 We went straight to Bugis from the airport, only to eat at Nando’s. This used to be our favorite restaurant back in Bournemouth – we looooove their peri – peri chicken! After going to Universal on Saturday night, we were scheduled to go home on Sunday afternoon. Since our flight was not until 6.20 PM, we had enough time to wander around town. We chose to wander around Orchard road, being purely tourist, hahahaha. 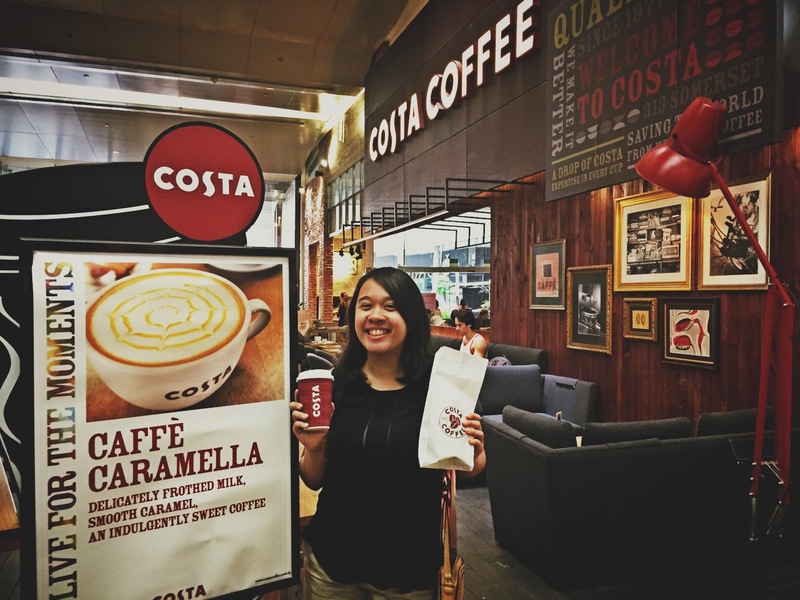 When we got off the bus from our hotel at Somerset station, I was sooo surprised to find a Costa Coffee branch! Costa Coffee is a British coffee shop and they have one branch at my university. I used to go there almost every day just to buy coffee of hot chocolate to bring to class, or spend some time working on our group projects with my friends. I didn’t know that they opened a branch in Singapore already. So I immediately went inside the store and bought my all time favorite – vanilla latte and butter croissant. So happy! Not only Costa, Singapore surprised me again when I found Muller yogurt in a supermarket when I was going to buy bottled water. The yogurt brand was my favorite and it used to be my daily snack back in the UK! I don’t think they have this flavor back then, but it tasted soooo good. Plus, they were on sale because they’re about to expire next week. I bought one and ate it immediately, consider it as my dessert after lunch. 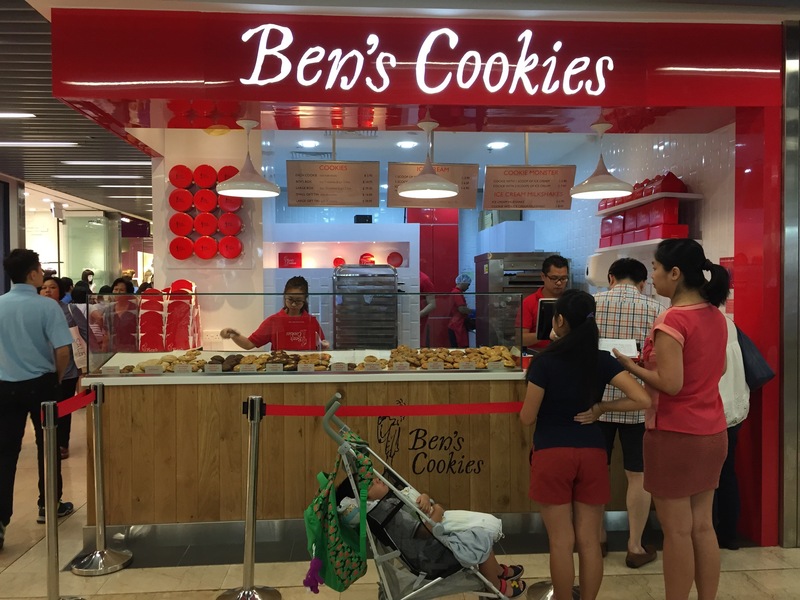 Last but not least, I found a Ben’s Cookies outlet in Wisma Atria – another popular mall in Orchard Road. Again, this is another favorite snack from my UK days. They simply have the best cookies, soft and chunky! I used to go to their London’s Oxford Street branch whenever I was in town.. finding their branch in Singapore really made me happy. I don’t mean to be exaggerating but having a bite after all these years almost bring me to tears! hehehe. Oh baru tahu Costa itu punya Inggris. Nandos is good! they sell the marinade sauce now in Indonesia apparently. Kok yummy-yummy banget ya… Pengen coba… mungkin kesana lagi harus nyobain ya. hi! 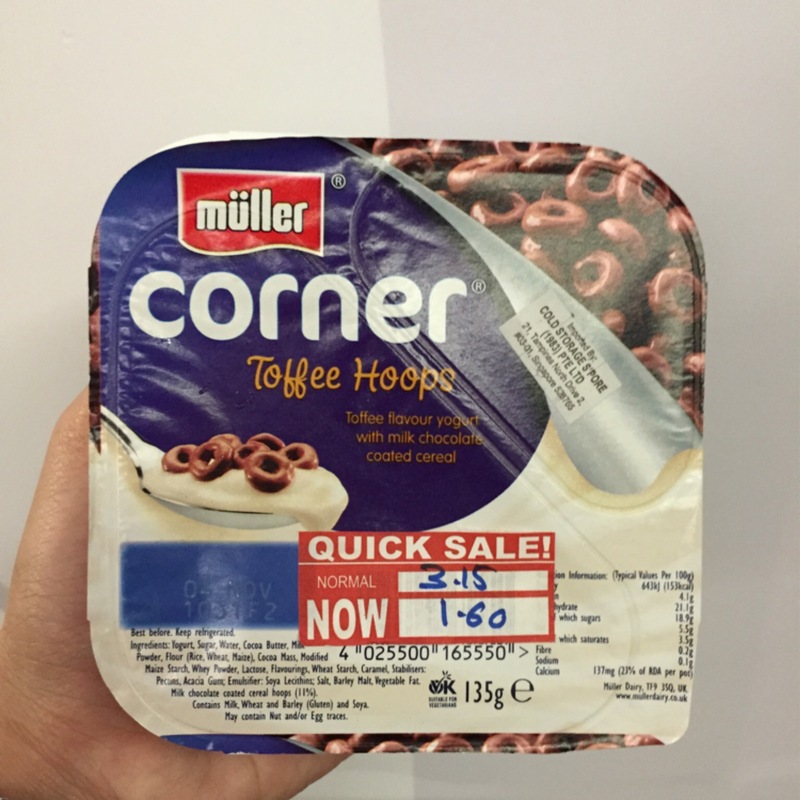 can i ask where is the supermarket which you found the muller yogurt from? Halo, bisa coba di Cold Storage.. biasanya saya belinya di Cold Storage yang di Orchard Road (Paragon Mall – Basement)..
Next Next post: Bye, Sudirman!